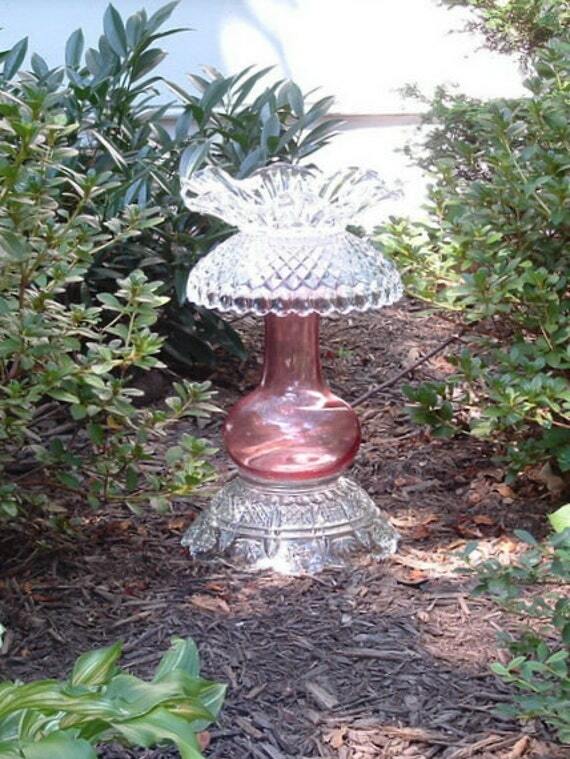 Re-Creations in Glass: 'THE SHARON"
This whimsical use of vintage glass is so delicate, indoors or out. The pastel pink center is on a beautiful intricately designed bowl. Likewise, the inverted bowl near the top is also a lovely design. The scalloped, almost pleated saucer at the top can hold odds and ends, keys, or whatever. Works here as a unique candle holder. Would be lovely in any home. 13" tall x 5" diameter at base. SOLD - Thank you!